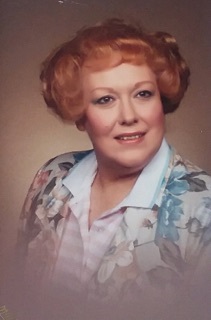 Obituary for Darlene Clara (Uhas) McClaine Roja | Assalley Funeral Homes, LLC. Darlene Clara (Uhas) McClaine Roja, 85, of Bethalto passed away at 9:49 a.m. on Wednesday, August 15, 2018 at Bethalto Care Center in Bethalto, IL. Darlene graduated from Hillsboro High School, and went on to work for both House of Sunshine in Litchfield, and later Peavey Flour Mill in Alton. She was a long-time member of The Church of Jesus Christ of Latter-Day Saints in Godfrey. Darlene was a talented painter, creating oil and water colors. She also enjoyed and took great pride in raising her many Chihuahuas. Known to most as “Muzz”, “Dar”, or “Granny”, her bubbling personality, unending cheerfulness, and radiant smile touched the lives of all around her. A force unlike any other, she will be greatly missed by all who knew and loved her. She was also preceded in death by her parents; sister, Irma Rogers; and nephew, Bobby Rogers. Darlene is survived by her daughter, Darlynn (Nate) Hopper of Bethalto, IL; son, Carl (Elizabeth) McClaine of Bethalto, IL; grandchildren, Randal (Diana) Hopper, Holly (Ben) Hugghins, Joy (Robert) Cushman, Sarah (Chris) Pearson, Aaron (fiancée, Stefani Taylor) McClaine and Andrea (Matthew) Harris; great grandchildren, Jadyn, Malia, Tate, Mary Allison, Kenneth, David, Quorra, and Ashley; sister, Carolyn Uhas; sister-in-law, Shirley Trusty; and nieces and nephews, Dottie Caffrey, Mike Rogers, Greg Trusty, Jon Trusty, Percho Casuela, Chotte Casuela Salalima, and Chy Casuela Pike. Memorial Ceremony: 10:00 a.m. on Saturday, September 1, 2018 at Perfetti-Assalley Funeral Home, 201 S. Main St., Sorento, IL 62568. Inurnment will follow the ceremony at Sunnyside Cemetery in Sorento.